The Commercial Pilot Certificate is the Gateway to professional and high performance piloting. 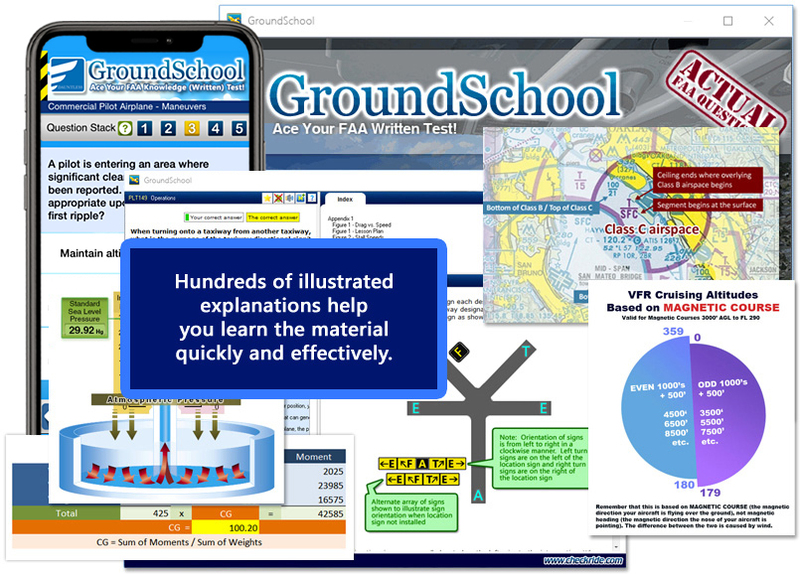 With a minimum of time and cost, YOU can ACE your FAA Commercial Pilot knowledge (written) test using our GroundSchool Software. The Commercial Pilot license is a bit of a paradox in that it's both easy (many claim that obtaining the certificate is easier than their instrument or private) and yet quite difficult in its own way. Sometimes, part of the difficulty is getting motivated to do the knowledge test! Whether your goal is to become a professional pilot or to simply sharpen your existing flying skills, our software prepares you to take and pass your Commercial Pilot knowledge test with minimal cost and time while maximizing your learning. 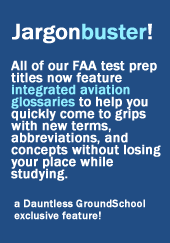 By this point, you're familiar with the format of FAA Knowledge tests and probably appreciate the benefit of getting them done sooner rather than later. Our software helps you do this is a no-nonsense fashion. This software can be used to prepare for all of the FAA Commercial Pilot and Military Competence tests (airplane, rotorcraft, glider, lighter-than-air). ** Miltary Pilot? If you are looking to prepare for ONLY the Military Competence Airplane or Helicopter test, click here for our special Military Competence only software. "I believe that your product is ABSOLUTELY EXCELLENT. I has been a joy to work with. All the more so due to your very prompt response to my questions. 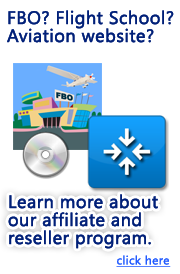 "I will tell you that I think your software is a wonderful product and I have personally recommended it to many students at [FBO] ground school classes... in fact as a result of using your program, my wife blew by the other students in her class! This has been a tremendous confidence builder for her as she was somewhat intimidated by the other students (all male) Kind of fun to watch their faces when she completes a multiple chapter review in 1/4 of the time they took. Now, they make comments during the correction like..." well I had answer A but [wife's name] has answer B and I'm sure she has the right answer "